Seems a very pure marble. Is it coarse- or fine-grained? Looks fine -grained from the pic. Cubic spinel? 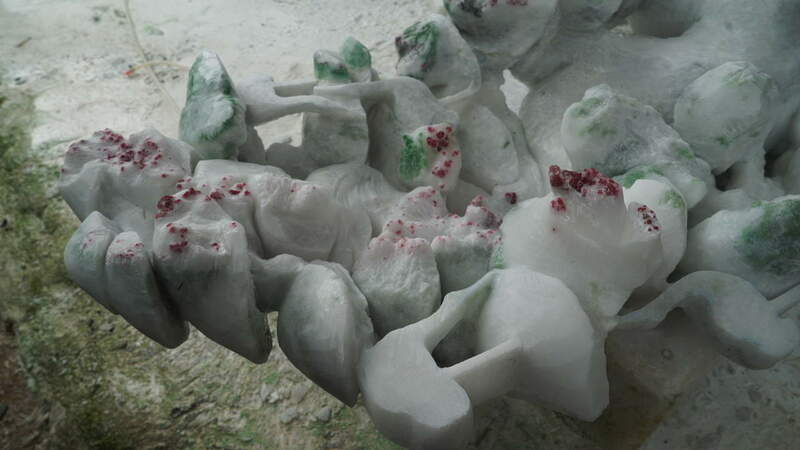 What is the green mineral, Rosey? Hi Robbie! I’d imagine green is made from crushed pargasite, as we saw a lot there pargasite in with the spinel. I’m not too savvy about marble but there was a commercial marble mine closeby and the locals were carving around cystals within the marble to make really nice sculptures, which I haven’t shown but they’re in a video I’ll put up soon. Hope you’re doing well out there in CA! !